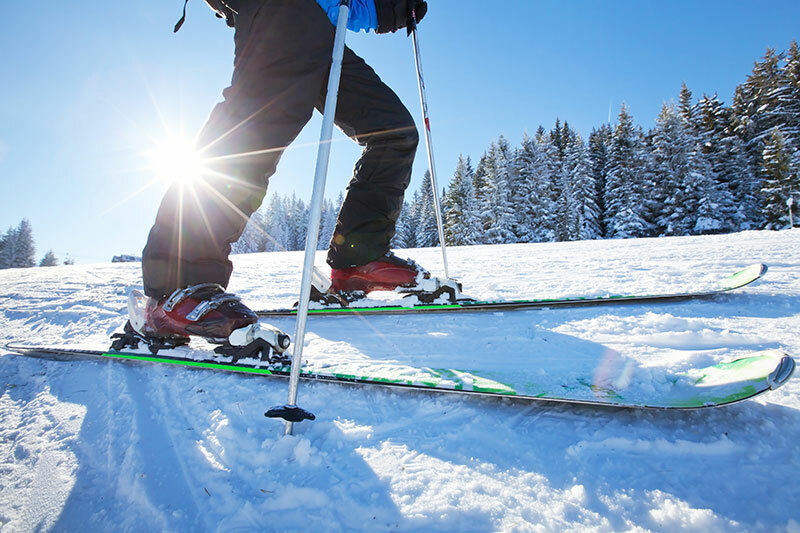 You have 365 km of slopes to choose from, ideal for snowboarding. One of Europe’s most important ski areas, where you can ski all day without ever skiing on the same slope. 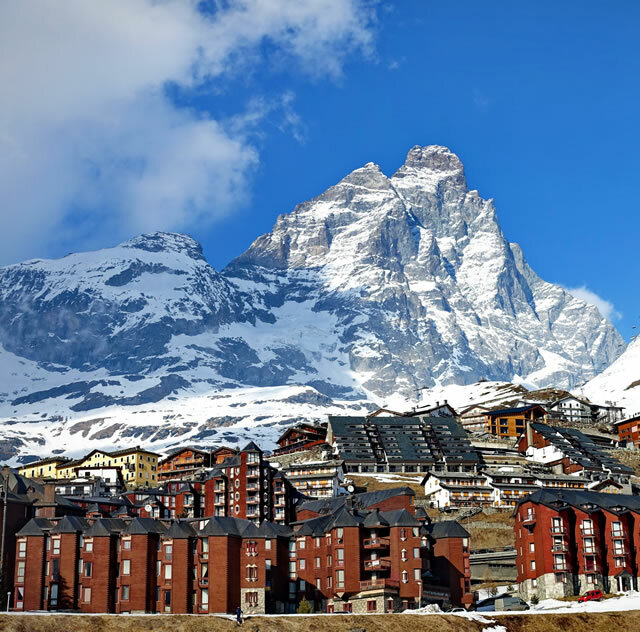 You can also reach the Zermatt ski resort with the cable cars that depart from Cervinia, a few meters from us. A 3km long ring with a varied path that fits both beginners and experts. Thanks to its high altitude (2,050 meters), the Breuil-Cervinia trail is open all winter covered with natural snow. Comfortable to reach, it is located at the town entrance and is next to a large parking lot. You can rent your ski equipment just a few meters away. 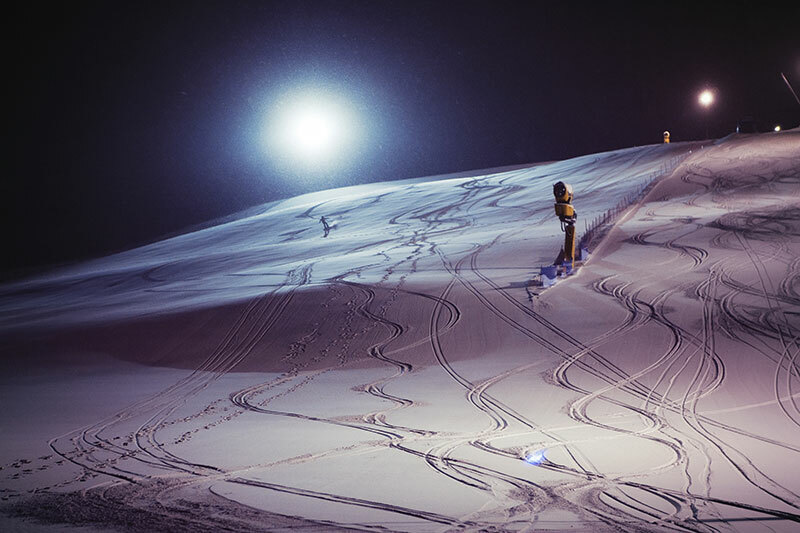 Leave your signature on the slopes before the official opening hours of the tracks. 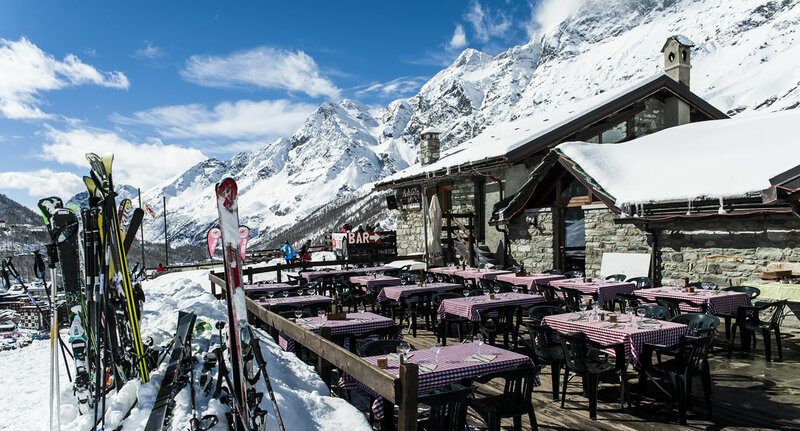 To enjoy in perfect solitude the very first ski descent from Plan Maison to Breuil-Cervinia, the special ticket includes a good coffee cup in order to better deal with the descent at sunrise. Ask us for information to book these exclusive ski descents. Do you want to take ski or snowboard lessons? With our professional friends, who very well know the area and are acquainted with all the nearby ski slopes, you can take lessons and enjoy this wonderful snow experience. Talk to us, we will introduce you to Danilo, a ski instructor and Paolo, a snowboard coach of the national snowboard association (F.I.S.I.) as well as a summer trekking guide. Good skiing while skiing safely! Snowboard and Freeride have always been ones of the family here. 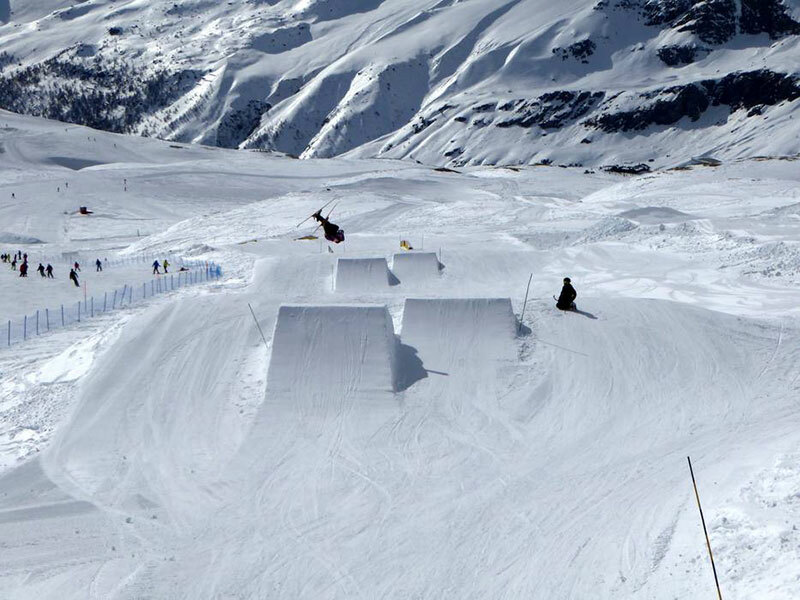 The “IndianPark” of Cervinia (Plan Maison ski area) has really great numbers: 400 meters in length and 100 in width and with rails and kickers suitable for snowboarders and freestyle skiers of all levels. Additionally, there are many parties thrown by “the Tribe” every day, with so much music and many events. 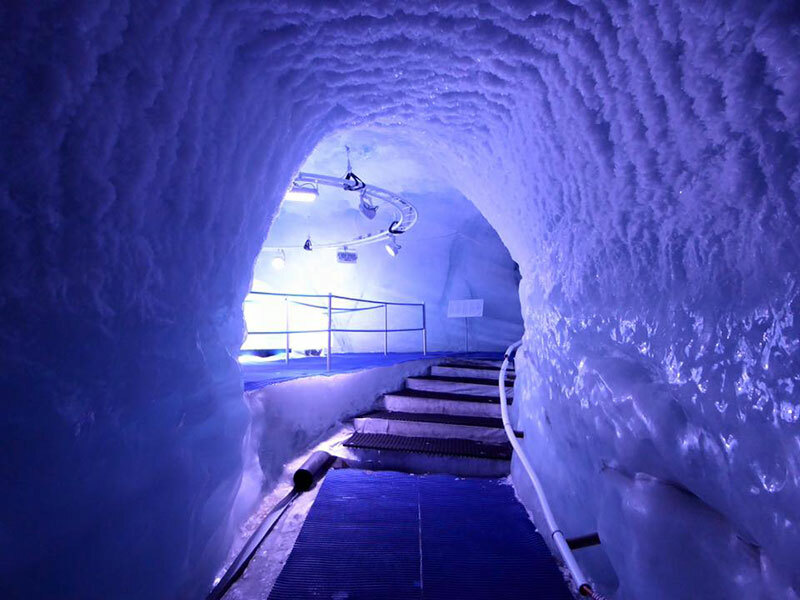 One of the wonders of the Alps: the highest ice cave in Europe, almost four thousand meters heigh! Located at the end of the “Small Matterhorn” cable car, Zermatt (in the Swiss territory), it is reachable from the cable car station through a 50 meter long tunnel excavated in the ice. The cave is 15 meters deep and is equipped with characteristic lighting and soft music. Nights out with the full moon, for romantic dinners and night skiing on the “Ventina” track and on the “6” track (in the Bontadini/Plan Maison area, with arrival to Cervinia town through the “Cretaz” slope passing by our Cottage) at the foot of the Matterhorn. An initiative conceived by the managers of the surrounding mountain refuges in collaboration with the Società Impianti Cervino S.p.A. (Cable Cars System Company) and several ski instructors. 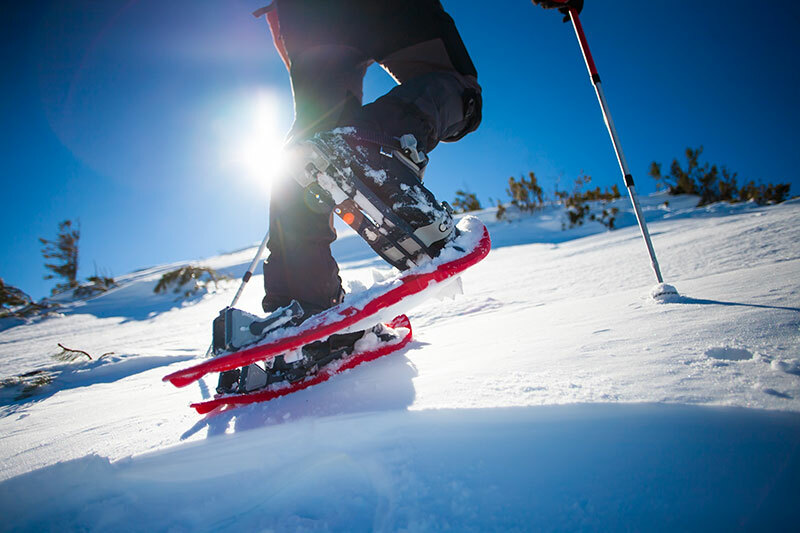 Snowshoe hiking (wearing typical snow rackets suitable for everyone) is one of the most popular solution to enjoy the landscape without any rush, even at night. 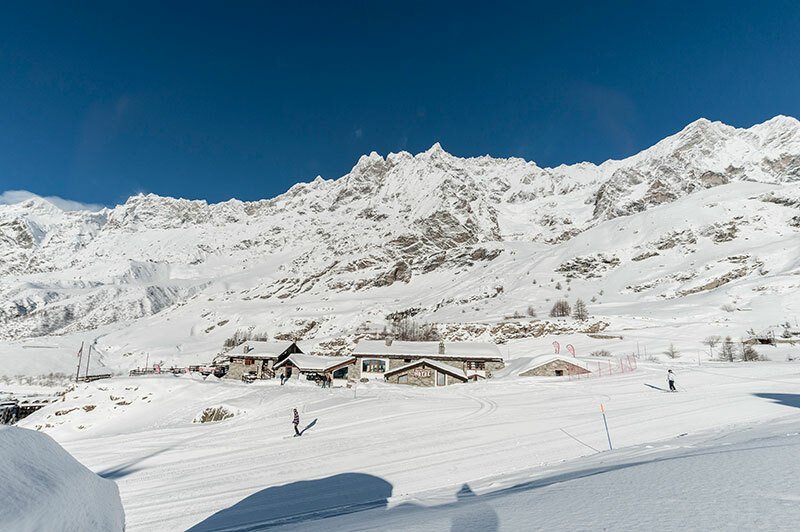 There are several routes to Breuil-Cervinia: two (about 6 km and 4.5 km long) depart from Plan Maison, the other is the free of charge “Mande Tour” runway which departs from the arrival station of the Valtournenche-Salette cable car . 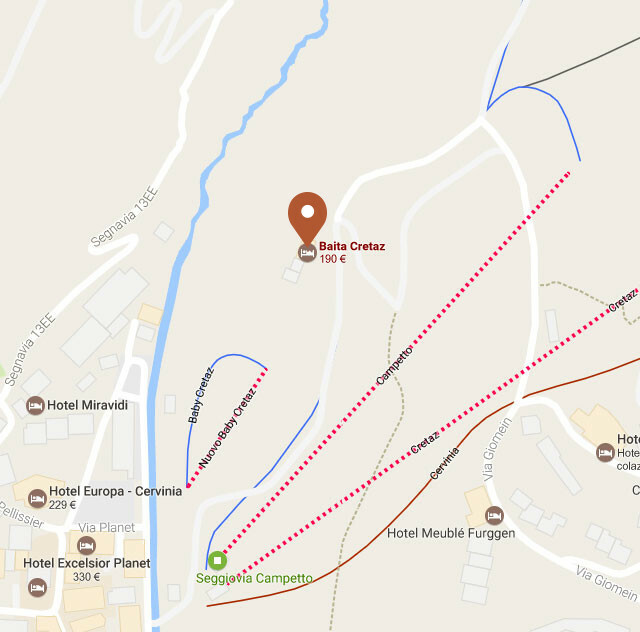 The ski mountaineering route begins in Plan Bois (near the “Foyer des Guides” restaurant) and arrives near the “Baracon” restaurant. 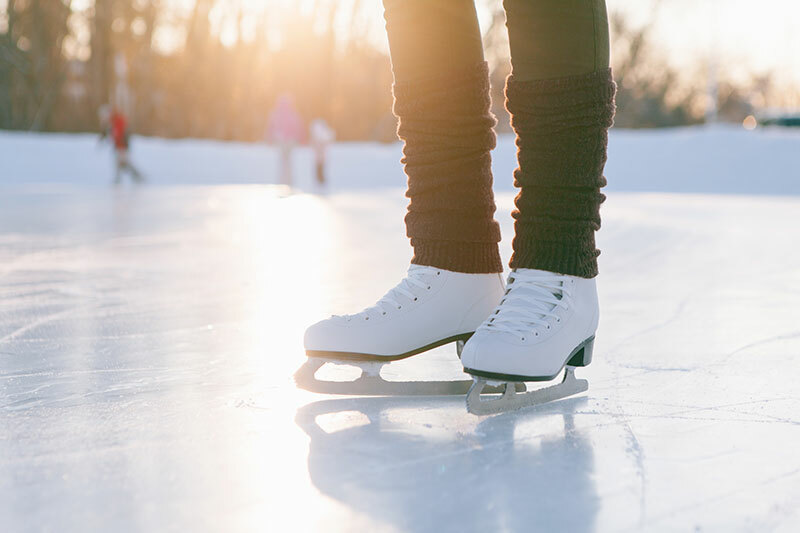 In the “Campetto del Cretaz” area in Cervinia, you can enjoy a lovely natural ice rink, for suggestive skating at day and night, under a fantastic starry sky. Do not miss out the Hockey games that can be booked through reservations. The track is open from late November until mid-March. 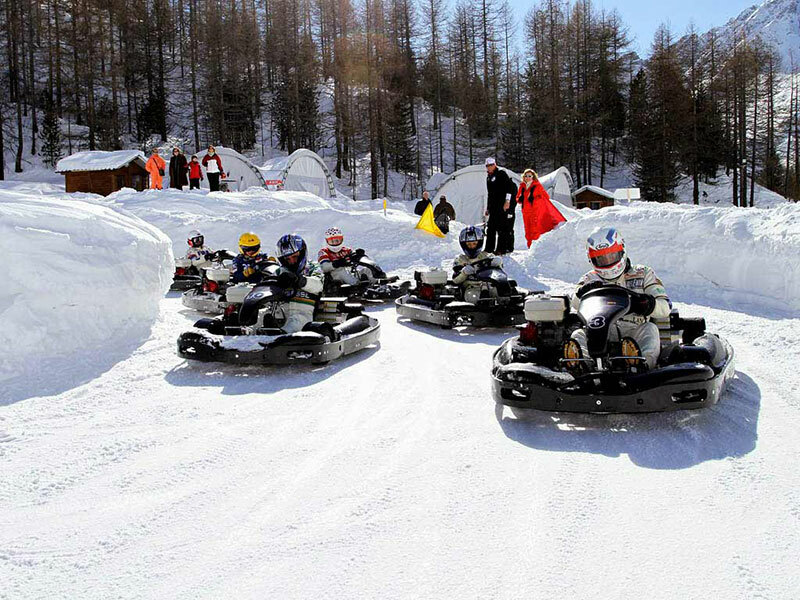 There is an amazing naturally iced ice-kart ice track, where you can run on board high-speed karts and try to feel like “big time” pilots and counterweight champions. 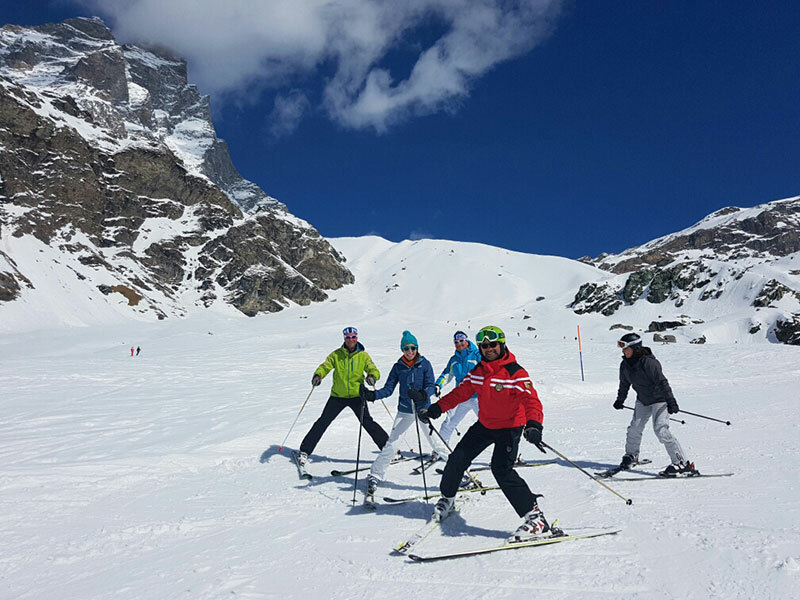 Easy to reach, right in town in Cervinia, the track is open to guests every day (even in the evening) and is equipped with electronic timing equipment for exciting challenges.